The products carries a 1 year structural warrantee against cracking. Digging of the hole by means of own contractor. Making sure the floor of the hole is as level as possible. There must be adequate space and no obstructions for the truck to reach the hole and lower the tank. Water inside the hole must be removed prior to installation. The filling of the hole with soil immediately after the tank has been lowered. 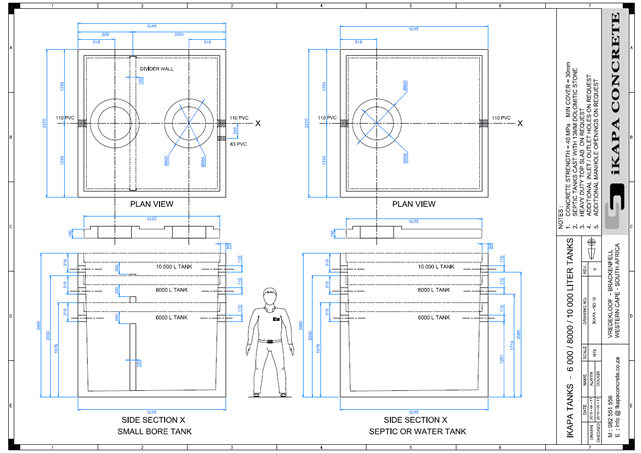 Pipes, plumbing, filters and suction pipe are not part of the tank. Installation would be via a crane truck/mobile crane by an accredited rigging company. 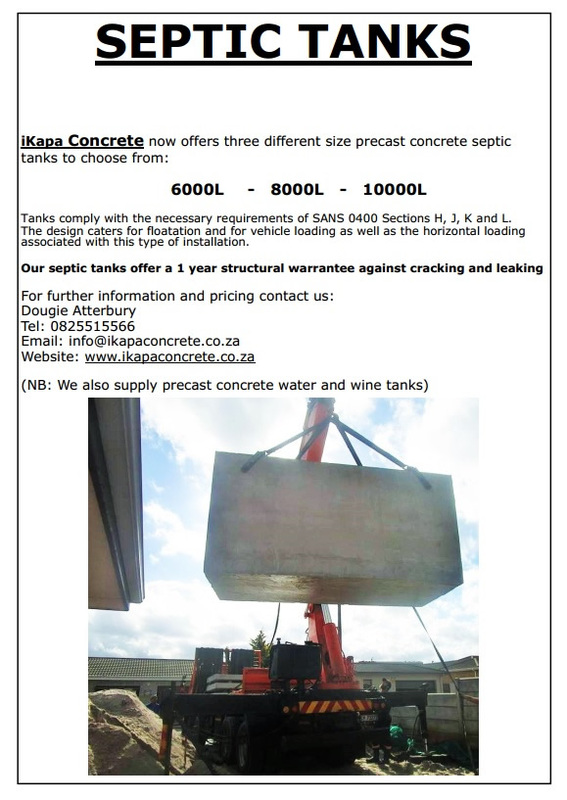 iKapa is a South African concrete tank solutions provider, with level four BBBEE status. Our products are manufactured in accordance with ISO 9001 specifications, from the best quality products available. The products carries a 1 year structural warrantee against cracking.